FACT CHECK: Were This Fawn and Bobcat Found Huddled Together After a California Wildfire? Were This Fawn and Bobcat Found Huddled Together After a California Wildfire? A photograph shows a fawn and a bobcat huddled together during the California Camp Fire of November 2018. Although this photograph was often presented as if it were taken during the deadly Camp Fire in November 2018, it was actually several years old by that time. 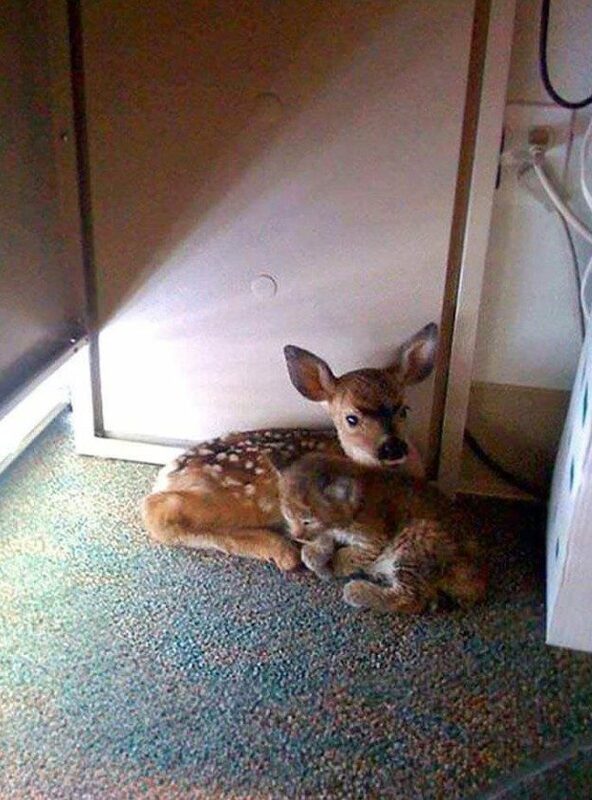 Furthermore, the claim that the fawn and bobcat were “found” under a desk during a fire isn’t exactly accurate. This photograph was taken in May 2009 at a facility run by the non-profit Animal Rescue Team during the Jesusita wildfire near Santa Barbara, California. Julia Di Sieno, the co-founder and Director of Animal Rescue Team, said that the bobcat and the fawn were rescued at different times and locations. In other words, they were not “found” huddled together under a desk during the fire. Di Sieno helped rescue the bobcat kitten in the photo a week before, near Arnold Schwarzenegger’s Ranch, where it was dehydrated and near death. Di Sieno nurtured it back to health. They rescued the fawn during last week’s wildfire. 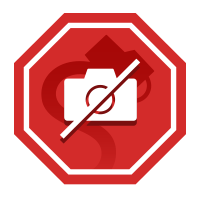 Although wild animals, especially of separate species, are never placed together due to regulations, in this emergency situation, they had no choice. During the mayhem of the fire, they were forced to put animals anywhere they could, since they had run out of crates large enough for the fawn. The kitten ran to the fawn, and it was instant bonding.